Have you ever used a Rhubarb Wine Recipe? Scroll down for an Amazing Recipe for making Wine from Rhubarb. Although I grow a lot of rhubarb, I have never yet made Rhubarb Wine. I do know that making your own wine makes the Best Wines there is! My Dad makes his own wine, and when my parents come over for dinner, he usually brings a homemade bottle of wine. It is second to none! If you are going to make wine for the first time, it is a good idea to buy a complete wine making kit. Below are ideas of wine kits that are available for purchase online from *Amazon.com, and, in most cases delivered to your door -- shopping for wine making supplies does not get much easier than that! 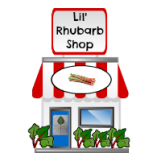 If you grow your own rhubarb (it is so easy to grow! ), or someone has excess rhubarb they will give to you for free, obviously, that will make your wine making considerably cheaper. You can buy most necessary wine making ingredients from a wine making supply store, or, in some areas you can buy it from your local grocery store. If you need additional help with your wine making, ask the staff at the supply stores. They would be the best people to help you with questions, and would have the resources to attend to all your needs regarding wine making. If you find it more convenient, you can purchase wine making supplies on-line at *Amazon.com. 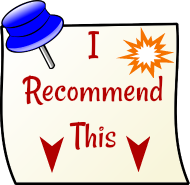 Click on the images to view more product information and customer reviews. Put the water into the primary fermentor. Add the pectic enzyme and crushed campden tablet. Stir well. Add the rhubarb and let mixture sit for two days, stirring regularly. Strain, but DO NOT squeeze. 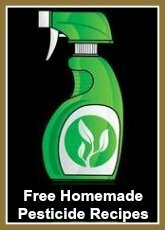 Dissolve the sugar and the nutrients in the liquid. Check specific gravity. It should be between 1.100 and 1.110. Add yeast and mix in well. Cover the primary fermentor and let sit overnight. Siphon into secondary fermentor, add cinnamon (if desired), and attach airlock. For a dry wine: Rack in three weeks and return to secondary fermentor. Rack again in three months, and every three month until one year old. Bottle. For a sweet wine: Rack at three weeks. Add 1/2 cup sugar dissolved in 1 cup of wine. Stir in gently, and place back into the secondary fermentor. Repeat this process every six weeks until fermentation does not restart with the addition of sugar. Rack every three months until one year old. Bottle. Note: This Rhubarb Wine will taste the very best if you can refrain from drinking it for a year and a half from the date it was started. Note: You can also try brown sugar in the place of the white sugar for something different. "...I've used your Rhubarb Wine recipe For three years now and the wine has always turned out perfect. I did my batches in one gallon lots but, I'm making a five gallon batch this year...I've used this recipe for three years and the wine turns out absolutely delicious. 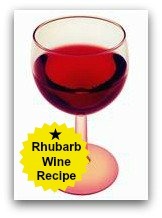 I found hundreds of Rhubarb wine recipes but why switch when you have a winner. Thank you Rhubarb-Central and Lois for your wonderful sites!!" "...My local wine and beer supply store told me to multiply all ingredients by five, (for a five gallon batch), except for the yeast. A yeast packet will make a six gallon batch. They also suggested to use cote de blanc yeast."